I ran across this little gem of a blog today and couldn't stop laughing. I'm somewhat of a grammar police, because there are a few grammar rules that are commonly misused. Don't get me wrong, I certainly make my fair share of mistakes, but this is too funny not to share. Oh, my. I "kinda" laughed so hard I "almost" feel off my seat! "Feel" means "fell." What an appropriate a "typo." Funny. :) What movie is it where the main character is always using air quotes? 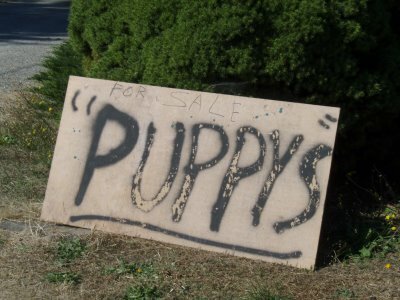 And "Puppys" is even spelled wrong. Too good! 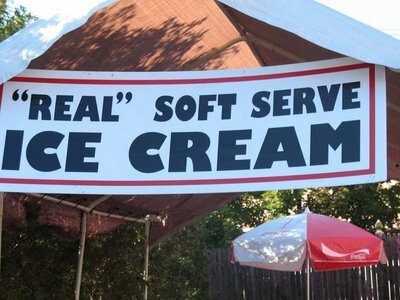 is this for "real" haha! 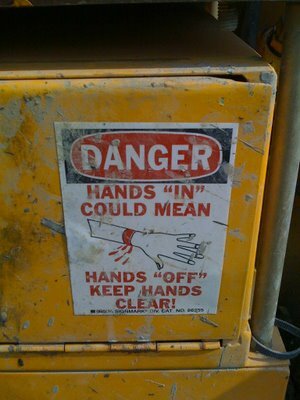 that keep hands clear is a pretty scary sign! That's awesome, Erin! I'm the same way with being the grammar police, LOL.